The Easter holidays are coming up for us in the UK and the girls are super excited. I have got a few things planned for the next two weeks but one of the things I am really looking forward to is a family movie night. The girls can stay up late, eating pizza and whatever other junk they want! One night off. Seeing as it is Easter, I have thought about watching a couple of Easter related movies. Easter is a really exciting time for all children. Not only do school children get two whole weeks off school, they also get treated with lots (and lots!) of Easter eggs, chocolates and other treats. 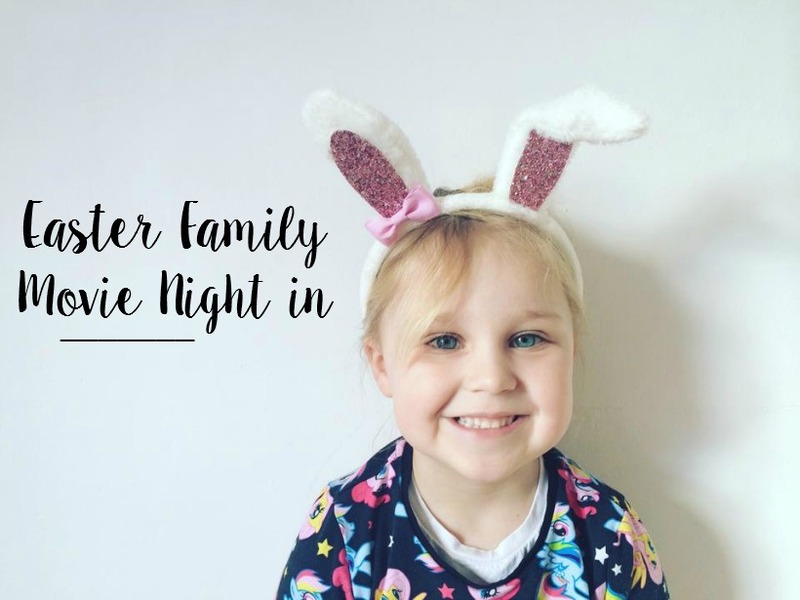 Mia and Elliw are super excited to receive their Easter presents and doing many Easter crafts over the next couple of weeks. One of Mia's favourite movies has been The Velveteen Rabbit. From a very young age, roughly around 2 years old, Mia all of a sudden got glued to the TV and wanted to watch the film on a daily basis. She hasn't watched it now for a good year or so. So I am going to bring that DVD back out and hopefully be one of the choices the girls choose to watch on our family movie night. What do you need for that perfect family movie night? - A good TV! The Panasonic 4K TV would be perfect for a family movie night to watch your favourite film together. - Sweets, chocolate, drinks and popcorn! Maybe a pizza too! We will definitely be having a few snacks on our movie night. - Blankets and throws to cosy up together if we want a cuddle or if we are just a bit chilly. - Comfortable sofas. You could buy a few cushions to make your sofa a bit more comfortable if they aren't comfortable at the moment. - A good film of course. If you have children, you could lay out a few favourite films and let them decide which one they would like to watch. What will you being doing during the Easter holidays?